PRESS INFORMATIONS BELOW! See reviews of this album from different magazines and fanzines at the end of this section! 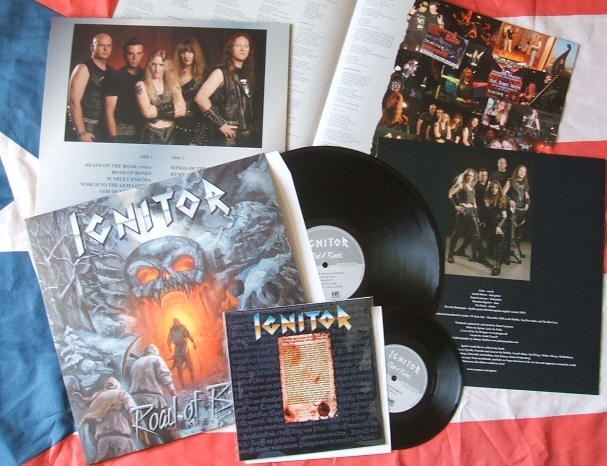 IGNITOR is one of the very best Metal bands which appeares in the last years. 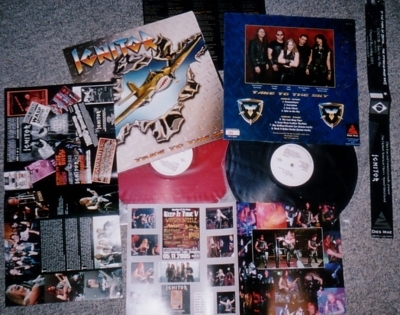 It is a great honour for me, to receive the permission of the band to release this maserpiece of 100% true Metal on LP! I hope the band will release more classic top albums in the next years. The scorching heat of Texas is the perfect crucible in which to create metal not often heard on American shores. 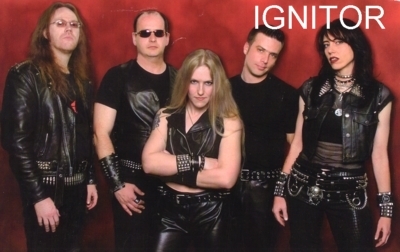 Out of this aural forge comes Ignitor, the culmination of over 20 years of experience in metal/extreme music. The band was formed when guitarists Stuart Laurence and Beverly Barrington, bass player Brendon Bigelow, drummer Pat Doyle, and vocalist Erika joined forces in the summer of 2003. The group’s pedigree is not to be dismissed. During the early 90s, Stuart Laurence supplied guitar havoc to Texas' favorites Agony Column. Former kit basher of punk warriors The Offenders, Pat Doyle provides a pounding pulse to Ignitor’s music that keeps the metal rolling. Beverly Barrington uses her six-string and high-kicking skills developed in rock-mavens T.A.N.G. to provide a crunching counterpoint to Stuart's soaring lead work. For six years, vocalist Erika fronted goth group Autumn Tears but now leads Ignitor in a sawblade-siren attack. Bass player Brendon Bigelow, the five string foundation of the group, also holds down the low end with death metal minions, Death of Millions. Influenced by 80s masters Iron Maiden, Judas Priest, Metallica, Ignitor’s music is a blend of classic true metal with the power of today's greats like Primal Fear, Grave Digger and Brainstorm. After six months of writing and recording, the band released their "Take to the Sky" demo in April 2004. 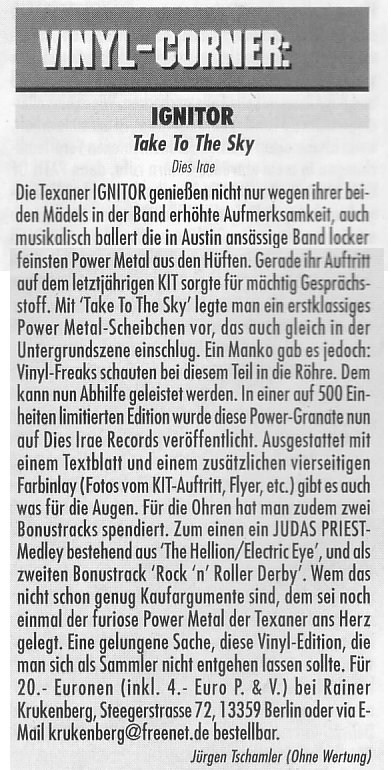 “Take to the Sky” was highlighted as Demo of the Month by Germany's Rock Hard magazine, and PowerMetal.de recently voted Ignitor as one of the Top Newcomers of 2004. Inspired by the enthusiastic acceptance of their music, the band forged ahead writing new music and developing their stage show. They have since shared stage space with great bands like W.A.S.P, Distant Thunder, M.O.D., Beyond Fear and Jag Panzer. After stunning the sun-baked crowd at the Monterrey Metal Fest, Ignitor returned home to begin work on a new CD full of focused, intelligent metal. They spreaded their true metal message to Germany by opening the 2005 Keep It True festival, and were very much celebrated. In 2008 singer Erika left the band. New singer since 2009 is Jason Mc Master from WATCHTOWER. Translation in english will follow soon!